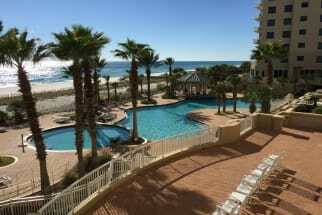 Welcome to the Indigo East and West vacation rentals in Perdido Key, FL! Often referred to as the most luxurious condo complex in the Perdido Key area, Indigo East & West contains 2-4 bedroom units with endless amenities. This gated complex supplies guests with a large zero entry resort style community pool, a hot tub, out door grills, steam rooms, a fitness center, tennis courts and a movie theatre. Indigo East and West sits ocean front to the beautiful white sandy beaches and the emerald green waters of the Gulf of Mexico. Indigo East and West truly will provide you and the whole family with a dream Gulf Coast vacation. There is so much to do in the area besides hanging out on the beach and enjoying all of the beach activities. There are several charter boat services to go deep sea fishing as well as boat and kayak rentals. Waterville USA is a waterpark that is also nearby and is a ton of fun for the whole family! 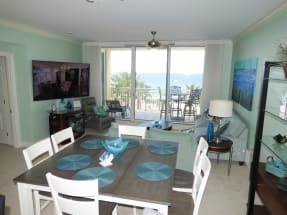 Plan your next trip to Indigo East and West with Emerald Coast by Owner and assure you are paying the best price for your next Perdido Key vacation. Booking direct with the property owners on ECBYO is the easiest way to avoid paying Service Fees. 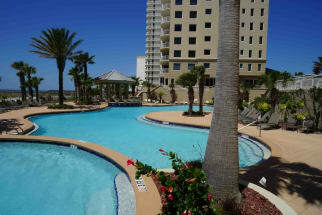 We hope you enjoy your stay on the Emerald Coast at Indigo East and West, in Perdido Key, FL!